Dr. T.P. Senkumar IPS Vs. Union of India and Ors. .
Respondent: Union of India and Ors. .
1. The appellant “ Dr. T.P. Senkumar – is said to be an outstanding officer in the Indian Police Service and in view of his meritorious record and service, he was appointed as the Director General of Police & Head of Police Force (the State Police Chief) in terms of Section 18 of The Kerala Police Act, 2011 (for short “the Act”) on 22nd May, 2015. 2. Section 97 of the Act mandates that the State Government shall ensure a minimum tenure of two years for the State Police Chief. However, the State Police Chief could be transferred out before completion of the tenure if the State Government is prima facie satisfied that it is necessary to do so, on certain grounds specified in sub-section (2) of Section 97 of the Act. We are concerned with clause (e) thereof relating to causing “serious dissatisfaction in the general public about efficiency of police in his jurisdiction.” 3. Ordinarily therefore, the appellant’s tenure as State Police Chief should have continued till 21st May, 2017 and even thereafter till his superannuation sometime in June, 2017. However, the tenure was cut short and he was transferred out as Chairman and Managing Director of the Kerala Police Housing and Construction Corporation Ltd. on State deputation basis by an order dated 1st June, 2016. 4. The appellant challenged his displacement by filing a petition in the Central Administrative Tribunal, which was dismissed. He then preferred a writ petition in the Kerala High Court challenging the order of the Central Administrative Tribunal. The Division Bench hearing the writ petition dismissed it by the impugned judgment and order dated 25th January, 2017. It is under these circumstances that the appellant is now before us. 5. The question for our consideration is whether the appellant’s displacement from the post of State Police Chief in Kerala before the expiry of his tenure of two years was justified in law. In our opinion, the answer is in the negative. The removal or displacement or transfer out of an officer from a sensitive tenure post requires serious consideration and good reasons that can be tested so that the officer is not dealt with as a pawn in a game. Unfortunately, the somewhat exacting standards are absent in the present case and the appellant was displaced from the post of State Police Chief summarily and without reasonable cause. Prakash Singh’s case 6. Before detailing the controversy before us it is necessary to refer to the decision of this Court in Prakash Singh & Ors. v. Union of India and Ors. In that case, this Court dealt with the issue of police reforms in the context of the far-reaching changes that had taken place in the country after the enactment of the Indian Police Act, 1861. It was noted that no comprehensive review had been undertaken in this regard at the national level and therefore, the Government of India appointed a National Police Commission on 15th November, 1977 which recommended significant police reforms. It was also noted that subsequently, there were other half a dozen reports on the same or similar subject but no substantive reforms were brought about. 7. 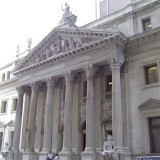 In the course of its judgment, this Court referred to a research paper titled “Political and Administrative Manipulation of the Police” published in 1979 by the Bureau of Police Research and Development. The research paper contained a caution to the effect that excessive control by the political executive and its principal advisers over the police had the inherent danger of making the police a tool for subverting the process of law, promoting the growth of authoritarianism and shaking the very foundations of democracy. We may add that one of the findings in the research paper is “The present predicament of Police is that they have been exposed to a two pronged pressure vertically from the Administration and laterally from the politicians.” With these two pressures, the independent functioning of the police can and sometimes does get compromised at the hands of very important persons and those claiming proximity to very important persons. 8. Keeping this and other material in mind, including the fact that commitment, devotion and accountability of the police has to be only to the rule of law, this Court issued certain directions in exercise of powers under Article 32 read with Article 142 of the Constitution for doing complete justice in any cause or matter. This Court took the view that the directions and guidelines ought to be observed in the absence of legislation and implemented till the Legislatures pass appropriate legislations. 10. One of the more significant directions given by this Court pertains to the establishment of a State Security Commission. It was directed that it should be ensured that the State Government does not exercise unwarranted influence or pressure on the State Police and, therefore, a watchdog body called the State Security Commission should be constituted with some official members as well as some non-official members who should be chosen in such a manner that they are able to function independent of government control. It was directed that the recommendations of the State Security Commission shall be binding on the State Government. Incidentally, on our asking we were informed by learned counsel for the State Government that as of now, the State Security Commission does not have any independent member. 11. Another significant direction given was that the State Government shall select the Director General of Police of the State from amongst the three senior-most empanelled officers keeping in mind their length of service, very good record and range of experience for heading the police force. It was directed that the Director General of Police should have a minimum tenure of at least two years irrespective of his date of superannuation. It was further directed that the Director General of Police may be relieved of responsibilities by the State Government acting in consultation with the State Security Commission on certain specified grounds. All these directions were given by this Court so as to insulate the police from external pressures and maintain the rule of law and not of persons. “18. State Police Chief – (1) The administration, supervision, direction and control of the Police throughout the State shall, subject to the control of the Government, be vested in an officer designated as the State Police Chief. Provided that where in a case or disciplinary proceedings, for and on behalf of the State a charge has been given or is pending against an officer before any Court or Tribunal or departmental agency, that officer shall not be appointed as the State Police Chief. (3) Any person who performs any functions of the police in the State of Kerala in exercise of the powers under this Act shall be officers subordinate to the State Police Chief. (4) Such number of officers of different ranks as may be decided by the Government from time to time shall assist the State Police Chief. 14. Section 24 of the Act provides for the constitution of the State Security Commission for discharging certain functions as mentioned in Section 25 of the Act. The State Security Commission consists of the Minister in-charge of Home Department who shall be the Chairperson; the Minister in-charge of Law; the Leader of Opposition; a retired Judge of the High Court nominated by the Chief Justice of the High Court of Kerala; the Chief Secretary; the Secretary to State Government in the Home Department and the State Police Chief as ex-officio members and three non-official members of eminence nominated by the Governor of the State, one of the non- official members being a woman. In other words, the State Security Commission is expected to be a relatively independent body, but is not truly so in view of other provisions in the Act. to discharge such other functions as may be assigned to it by the Government. (2) The report submitted by the Commission under clause (d) of sub-section (1) shall, on receipt, be placed before the Legislative Assembly. (3) No Act or Proceedings of the Commission shall be deemed to be invalid merely by reason of any vacancy in the Commission at the time any such Act or Proceedings was done or issued. (4) Notwithstanding any guidelines or directions issued by the Commission, the Government may lawfully issue such directions as it deems necessary on any matter, if the situation so warrants, to meet any emergency. Provided that this tenure shall not be applicable in cases of superannuation, promotion, reversion, suspension, leave, etc. 17. It will be seen from the above that some of the directions given by this Court were not accepted by the Kerala Legislature in enacting the Act. Among these was the direction regarding the binding nature of the recommendations of the State Security Commission and the direction relating to the Director General of Police or the State Police Chief being relieved of responsibilities by the State Government acting in consultation with the State Security Commission. Consequently, in the selection or removal of the Director General of Police or the State Police Chief, the State Security Commission has no role to play under the Act. In a sense therefore, an important element in the spirit of the judgment of this Court was not accepted by the Kerala Legislature, namely that of making the State Police Chief accountable only to the rule of law nor did the Kerala Legislature accept the warning of the Bureau of Police Research and Development against excessive control over the police by the political executive and its principal advisers. 18. In this background, what falls for our consideration is whether the State Police Chief can be removed from his tenure posting on a prima facie opinion that he or she caused “serious dissatisfaction in the general public about efficiency of police in his jurisdiction” and what are the restrictions and constraints in arriving at such a prima facie conclusion. Puttingal Temple Tragedy and the Note of 13th April, 2016 19. The appellant was given a tenure appointment as the State Police Chief on 22nd May, 2015 in accordance with Section 18 and Section 97 of the Act. It appears that his tenure did not involve any controversy until the night of 9th April, 2016. 20. Very briefly, on 9th April, 2016 a festival called ‘Meena Bharani Utsavam’ was celebrated in district Kollam. As a part of the celebrations, the Temple Administration Committee sought permission to have a fireworks display in the form of a competition at the Puttingal Devi Temple. Permission to hold such a competition was declined by the District Administration. An application was then made by the Temple Administration Committee to hold a fireworks display (non-competitive) but even this was declined by the District Administration. However, the Temple Administration Committee nevertheless went ahead with a fireworks display. Late into the night (early morning of 10th April) an extremely unfortunate tragedy occurred resulting in the stock of fireworks catching a spark. This resulted in an explosion and the death of more than 100 persons and injuries to more than 400 persons. In other words, the Note is based on inputs received from all relevant sources and is also based on contemporaneous information. 22. The Note records that the Temple Administration Committee sought permission for a display of fireworks but this was declined by an order dated 8th April, 2016 by the Additional District Magistrate, Kollam. The officer declined to grant any permission either for display of fireworks or competitive fireworks. While declining to grant permission, the Additional District Magistrate, Kollam specifically instructed the Commissioner of Police, Kollam City to ensure that no violation of the order takes place. 23. The Circle Inspector of Police, Paravur was present at the site of display of fireworks and the tragic incident. It was reported that the officer “repeatedly asked the temple authorities to stop the display of fireworks” but obviously to no effect. It appears that before the fireworks display started, the temple authorities informed the Circle Inspector of Police that a sanction order from the Additional District Magistrate was on the way but he failed to verify this from the District Magistrate. 24. From the report of the Director, State Intelligence Bureau, it appears that the District Police Chief (perhaps the Commissioner of Police) Kollam City was alerted on 31st March, 2016 for taking steps concerning issues relating to the temple festival. 25. On 9th April, 2016 at about 12.30 p.m. a meeting was held in the chambers of the Deputy Commissioner of Police, Kollam City where the temple authorities of Puttingal Devi temple and police officers participated. The Deputy Commissioner of Police gave instructions that the fireworks display could be conducted only after getting a proper license or permission from the Additional District Magistrate. The temple authorities apparently assured that the fireworks display would be conducted only in accordance with law. Despite the warning given as early as on 31st March, 2016 there was no pro- active planning [by the police] to avert the tragedy. The Additional District Magistrate had passed an order on 8th April, 2016 prohibiting the display of fireworks and the Commissioner of Police had received this order. The Deputy Commissioner of Police held a meeting in his chamber on 9th April, 2016 wherein he is said to have told the temple authorities to get an order from the Additional District Magistrate for permitting the fireworks display after ensuring that there would be no competition. It was concluded that apparently the Deputy Commissioner of Police was appeasing the temple authorities rather than trying to implement the order of the Additional District Magistrate. The Circle Inspector of Police did not inform any officer senior to him in the chain of command when the situation was going out of control. As far as the Commissioner of Police is concerned, he admitted that he got information of the tragedy only when it had struck (and not when the fireworks display started). The fireworks display started at about 11.30 p.m. on 9th April, 2016 but the Circle Inspector of Police and other officers remained mute witnesses to a violation of the order of the Additional District Magistrate. It was then concluded: “The conclusion is therefore inescapable that the field officers have failed in implementing the order of the District Magistrate; in following up the field situation on a minute to minute basis so that this tragedy could have been averted. There is absolute dereliction of duty and abdication of responsibility on the part of the ACP, Chathanur and DCP, Kollam City in not effectively monitoring the situation in the temple in the night of 9th April, 2016, resulting in a tragedy claiming more than 110 human lives. 27. The Note dated 13th April, 2016 appears to have been placed before the Chief Minister of the State on 14th April, 2016 but he did not pass any order thereon and the file was returned only after the elections to the Legislative Assembly were over in May 2016. However, what is of significance, as far as the present appeal is concerned, is that the appellant was not found blameworthy in any manner whatsoever “ it is only the three police officers at the field level in Kollam City, Chathanur and Paravur who were found to be at fault and their suspension and transfer was recommended. 28. At this stage, it may be mentioned that the results of the elections to the Kerala Legislative Assembly were declared on 19th May, 2016 and the political party of the incumbent Chief Minister did not secure a majority. Consequently, the present government with a different Chief Minister assumed office on 25th May, 2016. It seems that the concerned file was returned only around this time. 30. In his affidavit, the Chief Secretary also mentioned that a judicial commission has been set up, headed by a former Judge of the Kerala High Court, to look into all aspects of the Puttingal Temple tragedy. It was noted that investigation into the crime, which resulted in the tragedy was handed over to the CB-CID and a team headed by the Additional Director General of Police (Crime) was constituted. We were told that the investigation was transferred to the CB-CID on 11th April, 2016. It appears that the writ petition is still pending disposal and the judicial commission has not yet given its report. 31. Significantly, even the Chief Secretary did not make any adverse comment against the appellant. Jisha Murder case 32. On 28th April, 2016 another terrible incident occurred, namely, the brutal murder of a young Dalit girl Jisha within the jurisdiction of the Kuruppumpady police station. On 3rd May, 2016 the appellant sent a communication to the Additional Chief Secretary (N/C) giving the details of the crime and the initial investigation. The communication reads as follows: “Crime No. 909/16 u/s 449, 302 IPC of Kuruppumpady Police Station was registered at 9.30 p.m. on 28.04.2016 on the basis of the statement given by one Anas, Panchayat Member there. This was related to the murder of Jisha, aged 30/2016 years who was found murdered in her house on the bank of a canal. Within a short time, District Police Chief, Ernakulam Rural also reached the spot and the entire team started investigation. The deceased was staying with her mother Smt. Rajeswari. It is known that, Jisha’s father belongs to SC community and Smt. Rajeswari belongs to OBC community. All scientific investigation procedures are adopted in this case. IGP Ernakulam Range, who had experience of working in CBI for 7 years is personally supervising the investigation from 29.04.2016 onwards. They have formed a good investigation team with DySP, Perumbavoor as Investigating Officer. Efforts are taken to identify the accused through scientific methods. A Special Investigation Team consisting of 28 officers has since been constituted to investigate and prosecute the crime. For the present, it is not advisable to say anything more on this subject. Notes of 26th May, 2016 and the appellant’s transfer 33. Other than the terrible murder of Jisha nothing of significance seems to have transpired between 13th April, 2016 and 26th May, 2016 or at least the official files do not reveal anything of significance. However, elections to the Legislative Assembly had intervened in the meantime and another Government assumed office. KOCHI: DGP T P Senkumar has hit right back. “Where was the ADM and Tahasildar when tragedy struck Puttingal Devi Temple at Paravur? Why there is no action against Revenue and other officials concerned,” asked Senkumar, in response to a report submitted by Additional Chief Secretary Nalini Netto in which she recommended suspension of three police officers. In a report submitted to the Chief Minister, the DGP pointed out that it was not fair to blame the police alone for the tragedy. Officials of the district administration, Pollution Control Board, Directorate of Explosives, Environmental Engineering, Fire and Rescue services should also be held accountable. Action, if any, should be taken against all,” he argued. Senkumar also pleaded not to take disciplinary action till the Crime Branch probe is over. “I am not saying that there is no failure on the part of the police. When fault finding is being done it has to be done impartially and everyone responsible should be made accountable,” he told Express. “How did Thrissur Pooram go on? There was societal pressure. An all party meet was called, High Court had intervened and a collective decision was taken to take precaution and ensure smooth conduct. When we take a deviant move from previous years it should be done sufficiently early and publicity given. “Once you had decided to ban the fireworks the district administration should have called a meeting of officials concerned from all departments. What was the plan of action? Considering the large gathering during the fireworks display, a law and order situation should have been anticipated and suitable directions also should have been given. Revenue officers should have been present to help the police take action,” he noted. “The Tahasildar was supposed to be there. Instead of merely complaining to the police, he could also have called the District Collector and informed the possibility of a violation. It is reported that he went home after midnight and returned only in the morning. If the CI on the field is to be blamed, the Tahasildar should also be equally responsible. It is not correct to start looking for scapegoats once something goes wrong,” he said. Further stressing his point, Senkumar said: “The ADM vanished from the scene. Did he seek permission of the Chief Electoral Officer before leaving the district for his home in Ernakulam? It is too much to say that the police alone is responsible after things went out of hand. It is wrong, partial,” the DGP said. 35. In the first Note dated 26th May, 2016 the Additional Chief Secretary (Home) explained that the earlier Note dated 13th April, 2016 dealt mainly with the report of the State Police Chief dated 13th April, 2016. She had then confined herself to examining the critical issues only and did not elaborate on the “peripherals”. Therefore, she submitted the Note dated 26th May, 2016. “.. Even if all other departments are ticked off for contributory failure, it will in no way mitigate or absolve the District Police from its responsibility, as it is the police which has to publicise the ban order and implement it effectively. The primary responsibility for the said tragedy therefore rests fairly and squarely on the District Police and there is no hiding from this fact. The DGP as head of the police force is expected to evaluate without fear or favour the performance of his force and take to task those found remiss in the line of duty. Here, instead of providing proper leadership, the DGP has gone overboard to protect erring police officials, sending a very wrong and dangerous message, not just to the force, but also to the public, which could have far reaching disastrous consequences. In addition to all these, the action of the DGP in trying to interfere in an undesirable manner the functioning of the investigating team of the Crime Branch which is probing the Puttingal temple tragedy, can be seen from the devious means adopted by him. In his letter dated nil, the DGP gave a panel of names for replacing ACP, Chathannur on the request of the ADGP (Crimes). But strangely enough, both the names given are those of officers who have been part of the investigating team of the Crime Branch. Even when the ADG Crimes requested that the investigating team should not be changed, no action was taken by the DGP. Finally a fresh panel had to be called for by the Government. Even if it is argued that the names were given inadvertently, not taking action on the request of the ADGP (Crimes) to retain his investigating team, is reason enough for presuming an undesirable motive. 37. On the same day, that is on 26th May, 2016 the Additional Chief Secretary (Home) put up a second Note to the Chief Minister and this was on the Jisha murder case. In the second Note, there is a reference to a report made by the Director General of Police (Senkumar) on the Jisha murder case. The only allegation made in the second Note is that the report of the Director General of Police is silent on the issue why no action was taken against certain officers who had delayed the recording of the First Information Report in the Jisha murder or the delay in forwarding the First Information Report to the concerned Magistrate. It is also alleged that the report of the Director General of Police is completely silent on the callous handling of the scene of crime and the initial investigation steps. The second Note then goes on to highlight certain contradictions between the report of the Director General of Police, the First Information Report and the First Information Statement. We make no comment on this at all since this is a matter that might come up during the trial. 38. In the second Note, the Additional Chief Secretary (Home) concludes from the above, that the control and discipline in the police force is lacking, pointing to poor leadership and direction of the Director General of Police and that there is a lack of integrity, transparency and efficiency of the police force in general in handling the Jisha murder case that seems to have seriously eroded the confidence of the public, especially women in particular, reflecting poorly on the leadership of the force. The decision was ratified by the Cabinet on 1st June, 2016 and given effect to on the same day. 40. It will be apparent from a reading of the decision that what weighed with the Chief Minister was only one ground, namely, the appellant’s unsatisfactory leadership leading to serious dissatisfaction among the general public about the efficiency and transparency of the police force in the State, especially in regard to the Puttingal Temple tragedy and the Jisha murder case. 41. Feeling aggrieved by his transfer and consequent removal as the State Police Chief, the appellant challenged the order dated 1st June, 2016 in the Central Administrative Tribunal through O.A. No. 446 of 2016. 42. In response to the averments and allegations made by Senkumar, a reply affidavit was filed by the Joint Secretary to the Government of Kerala, General Administration Special (A&C) Department on or about 24th June, 2016. In the affidavit there is a reference to lapses by the appellant in dealing with the Puttingal Temple tragedy. It is stated that he hesitated to suspend or initiate action against the delinquent police officers and instead adopted an attitude of safeguarding them. This created widespread dissatisfaction among the general public and in the media which the government was constrained to take seriously. He tried to white wash the police at the expense of other departments. As the head of the police force in the State, he was expected to evaluate, without fear or favour, the performance of the force and take to task those found remiss in the line of duty. Instead of protecting the interests of the State and acting as the protector of the people, the appellant had gone overboard in protecting erring police officers. This sent a very wrong and dangerous message, not just to the force but also to the people. Such an attitude would have far reaching and disastrous consequences which could not be tolerated in the larger public interest. 43. In the reply affidavit, there is an allegation that after the Puttingal Temple tragedy, the appellant attempted to interfere with the Crime Branch investigation team probing the tragedy and that this raised serious concerns for the State. 46. The Central Administrative Tribunal in its order dated 21st July, 2016 took the view that the replacement or transfer of the appellant as the State Police Chief was not mala fide or with any oblique motive or for extraneous or political considerations but on the ground that the Government was satisfied, prima facie, that the appellant’s shift was necessary as it caused serious dissatisfaction in the general public about the efficiency of the police force satisfying the conditions mentioned in Section 97(2)(e) of the Act. 47. Feeling aggrieved by the decision of the Central Administrative Tribunal, the appellant preferred a writ petition in the Kerala High Court being O.P. (CAT) No. 205 of 2016. This writ petition was heard and decided by a Division Bench of the Kerala High Court and by the impugned judgment and order dated 25th January, 2017 it was dismissed. Unfortunately the counter affidavit filed by the State (if any counter affidavit was at all filed) is not on our record. 48. It was held by the High Court, inter alia, that the Government was prima facie satisfied that action was required to be taken under the provisions of Section 97(2) (e) of the Act and that there were no mala fides in the transfer of the appellant particularly due to the change of government. It was held that the displacement of the appellant was based on the subjective satisfaction of the government and that the action or inaction on the part of the appellant was correct or sustainable was not a matter of scrutiny before the Court. It was further held that the Central Administrative Tribunal had approached the issue in the correct perspective and the finding and reasoning given for declining interference did not warrant any exercise of jurisdiction of the High Court to set aside its order. 49. It is important to note that the High Court made no reference to the alleged interference by the appellant in the CB-CID investigations into the Puttingal Temple tragedy. 50. It is against this decision of the High Court that the present appeal has been instituted. Proceedings in this Court 51. The appeal directed against the decision of the High Court was initially listed for preliminary hearing on 6th March, 2017 when notice was issued to the respondents. In response to the notice, the Chief Secretary of the State filed a counter affidavit on 23rd March, 2017 virtually reiterating the contents of the earlier affidavits. It is stated in the affidavit that Section 97(2)(e) of the Act which was invoked in the case, contemplates a prima facie satisfaction of the government that there is serious dissatisfaction in the general public about the efficiency of the police in the jurisdiction of a police officer. The prima facie satisfaction is the subjective satisfaction of the government and is not open to judicial scrutiny in the sense of propriety of the satisfaction on an objective appraisal of facts. 52. Significantly, it is reiterated that the primary responsibility for the Puttingal Temple tragedy rests fairly and squarely on the district police and there is no hiding from this fact. The appellant as head of the police force was expected to evaluate without fear or favour the performance of his force and take to task those found remiss in the line of duty. Instead of providing proper leadership, he went overboard in protecting erring police officials, sending a very wrong and dangerous message, not just to the force, but also to the public, which could have far reaching disastrous consequences. It is further stated that all this points to an inefficient and ineffective leadership which is highly detrimental to a huge uniformed force like the State Police, entrusted with dual responsibilities of maintaining law and order and prevention and detection of crime in a transparent manner and to the satisfaction of the public at large. It is stated that a responsible government is accountable to the general public and a responsible police officer acting in a manner not suitable to the occasion cannot be permitted to continue in the post when the issues involved are sensitive and have far-reaching consequences. The Council of Ministers in the State was seized of the issues and it was in pursuance of the decision of the Council of Ministers that the appellant was transferred. 53. In this affidavit, a reference is made to the report dated 13th April, 2016 forwarded by the appellant to the Additional Chief Secretary and which has been referred to above. It is stated that in the report, the appellant’s attempt and attitude was more to insinuate the lapses resulting in the tragedy on the district administration while seeking to assert that the entire blame cannot be put on the police. The course of events clearly revealed that adequate action was not taken against the delinquent police officers or such action was not recommended by the appellant at the appropriate time. This contributed to the dissatisfaction on the efficiency of the police in the minds of the general public. In the counter affidavit there is no reference to the Jisha murder case or to the alleged interference in the CB-CID investigations in the Puttingal Temple tragedy. 54. A further detailed counter affidavit was filed by the Chief Secretary on 10th April, 2017. In the detailed counter affidavit the facts and views relating to the Puttingal Temple tragedy are reiterated and it is not necessary to go over them again. 55. However, in the detailed counter affidavit it was alleged that the appellant was trying to interfere in the functioning of the CB-CID investigating team into the Puttingal Temple tragedy. 56. It was stated that while the appellant has asked for the transfer of one Deputy Superintendent of Police, Tirur on 28th April, 2016 a communication was received from the Chief Electoral Officer on 5th May, 2016 mentioning the transfer of the Deputy Superintendent of Police, Tirur, as well as the transfer of the Assistant Commissioner of Police, Chathanur. 57. As a replacement, the appellant suggested Gopakumaran Nair and Radhakrishnan, but the Additional Director General of Police (Crimes) (investigating the Puttingal Temple tragedy) wrote to the appellant with a copy of the letter to the Home Secretary requesting that Gopakumaran Nair should not be transferred since he was part of the team investigating into the tragedy. Similarly and for the same reason, the Additional Director General of Police (Crimes) objected to Radhakrishnan being appointed as the Assistant Commissioner of Police, Chathanur. Eventually, Velayudhan Nair was posted as the Assistant Commissioner of Police, Chathanur. The conclusion drawn by the Home Secretary was that placing Gopakumaran Nair (or Radhakrishnan) as the Additional Commissioner of Police, Chathanur would put him under the jurisdiction of the Commissioner of Police, Kollam City, whose role was under investigation and therefore “these circumstances were reasonable enough for presuming an undesirable motive” of the appellant. 58. There is also a reference to a letter dated 10th May, 2016 sent by the Home Secretary to the Director General, Election Commission of India wherein it is mentioned that the Government was not aware of the proposal for the transfer of the Assistant Commissioner of Police, Chathanur until it received the communication dated 4th May, 2016. It is not clear why such a reference is made in the detailed counter affidavit “ is it sought to be suggested that the appellant had influenced the Director General, Election Commission of India to transfer the Assistant Commissioner of Police, Chathanur. If that is the suggestion it is extremely unfortunate. 59. Adverting to the Jisha murder case, it was alleged that since details were not made available to the government with regard to the murder which had raised a serious public outcry, the Home Secretary sent a detailed questionnaire on 4th May, 2016 to the Inspector General of Police with a copy to the appellant asking for full details as to the steps taken. 60. In response, the Inspector General of Police replied to the questionnaire but the appellant did not do so but only enclosed an order establishing a Special Investigating Team of 28 officers to investigate the murder. 61. On a subsequent occasion, the appellant submitted another report to the Home Secretary on 12th May, 2016 wherein he failed to address the crucial issue of the cremation of the victim soon after the post mortem even when forensic investigation was under way as to a possible sexual assault. The appellant also did not address any of the controversies in the public domain such as protest marches by various organizations. “The question was not about his involvement directly in any of the incidents, the question was how he, as a Chief of the State Police, dealt with the situation where there was great public concern about these incidents. The first related to the firework tragedy in a temple complex and the second related to lapses in the investigation into the murder of a young law student. The issue therefore is not really about the details of the Puttingal Temple tragedy or the Jisha murder case “ the issue is really of the appellant’s conduct post these two events, the expectations of the general public (as learned counsel for the State put it) and the “serious public dissatisfaction”. 63. On the legal issues, it was submitted by learned counsel for the State Government that only a prima facie satisfaction of the government was required to transfer the State Police Chief due to events subsequent to the Puttingal Temple tragedy and the Jisha murder. 64. It was submitted that the State Government was prima facie satisfied that the conduct of the appellant post the two incidents did not inspire any confidence in his leadership and that translated into serious public dissatisfaction on the efficiency and the role of the police. This, it was submitted, was more than enough to enable the government to conclude that the appellant deserved to be transferred out as the State Police Chief. 65. We are of opinion that the Puttingal Temple tragedy and the Jisha murder, both extremely tragic events, were not and were admittedly not the basis for the transfer of the appellant. The correct perspective was placed by learned counsel for the State of Kerala and that is the subsequent conduct of the appellant in failing to take action against the errant police officers for the Puttingal Temple tragedy and that he failed to provide an adequate response to the Jisha murder. It was argued that cumulatively, this indicated that the appellant was not suited to be in charge of the State Police and therefore deserved to be replaced. 66. Our attention was drawn to E.P. Royappa v. State of Tamil Nadu and particularly the following passage in paragraphs 87 and 88 of the Report: “Now, two important considerations must weigh with us in determining our approach to these questions. First, the post of Chief Secretary is a highly sensitive post. It is a post of great confidence “ a lynchpin in the administration “ and smooth functioning of the administration requires that there should be complete rapport and understanding between the Chief Secretary and the Chief Minister. The Chief Minister as the head of the Government is in ultimate charge of the administration and it is he who is politically answerable to the people for the achievements and failures of the Government. If, therefore, for any valid reason the Chief Secretary forfeits the confidence of the Chief Minister, the Chief Minister may legitimately, in the larger interests of administration, shift the Chief Secretary to another post, provided of course that does not involve violation of any of his legal or constitutional rights. There can be no question in such a case as to who is right and who is wrong. The displacement of the Chief Secretary from his post in such a case would not be arbitrary and it would not attract the inhibition of Articles 14 and 16. It may, however, be pointed out that such an action would not, we think, ordinarily be taken except for the most compelling reasons, because, if resorted to without proper justification, it would tend to affect the political neutrality of the public service and lead to demoralisation and frustration amongst the public servants. 67. In Royappa the concern of this Court was in relation to the post of the Chief Secretary of the State but which was not a tenure post. This Court observed that the post of Chief Secretary is a highly sensitive post and the person holding that post is the lynchpin in the administration. The Chief Minister of the State must, therefore, have complete confidence in him or her and there must be complete rapport and understanding between the Chief Secretary and the Chief Minister of the State. Since the Chief Minister is in ultimate charge of the administration of the State and is answerable to the people for the achievements and failures of the government, if the Chief Secretary forfeits the confidence of the Chief Minister, he or she may be shifted to another post in the larger interest of administration provided there is no violation of any legal or constitutional right. 68. Our attention was also drawn to an observation in Citizens for Justice & Peace v. State of Gujarat to the effect that “the appointment of a government servant is the prerogative of the particular Government, particularly, when it is a sensitive appointment of the Director General of Police.” It was then observed that this Court would not extend its hands to upset such an appointment under the judicial doctrine review. 69. The broad principle laid down in Royappa is obviously applicable to the present case, but with two distinctions, one of them being that it did not deal with a tenure post or an appointment and replacement under a statute. Of course and undoubtedly the post of Chief Secretary of a State and the Director General of Police or the State Police Chief are both sensitive posts. But the sensitivity attached to the post of a Chief Secretary has a different dimension from the sensitivity attached to the post of the State Police Chief, which is of a different genre. Unlike the Chief Secretary of the State, the State Police Chief as the head of the police force is concerned with the investigation of crimes, law and order and public order and not general executive administration. Prakash Singh makes it very clear that the police must be permitted to function without any regard to the status and position of any person while investigating a crime or taking preventive measures. In other words, the rule of law should not become a casualty to the whims and fancies of the political executive. In that event, the State Police Chief might be pressurized laterally by the political executive and vertically by the Administration. It is to ensure (and that is the rationale for the decision of this Court) that no such pressure is exerted on the State Police Chief and if so exerted, then the State Police Chief does not succumb to such pressure, that Prakash Singh provided for security of tenure and insulating the police from the Executive. 70. As far as Citizens for Justice & Peace is concerned, that is clearly inapplicable. We are not concerned with the appointment of the State Police Chief but with his removal from a tenure post. 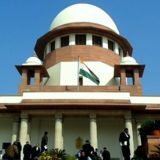 That apart, it would be tragic if this Court were to come to a conclusion that the removal of a person from a sensitive but tenure appointment based on a stature is the “prerogative” of the government and judicial review is not available merely because the post concerned is a sensitive one. If such a view were to hold the field, Article 14 of the Constitution, the citizen’s struggle against executive arbitrariness would become irrelevant and this Court would be surrendering its constitutional obligation. 71. We may also recall that the Bureau of Police Research and Development, in a publication referred to by this Court in Prakash Singh warned that excessive control by the political executive and its principal advisors over the police has the inherent danger of making the police a tool for subverting the process of law. That view too would have to be thrown out of the window if arbitrary removal from a tenure post based on a statute is taken out of the purview of judicial review merely because the person holds a sensitive post. 72. We also cannot overlook the fact that in the event of any law and order or public order situation, it is the policeman that is the first responder and not an officer of the administration. If the authority of the first responder were to get compromised, the citizen would not have anyone to turn to for assistance resulting in the crumbling of the rule of law. This certainly cannot be permitted. This is not to say that the police must be treated with kid gloves “ all that is sought to be conveyed is that a certain degree of freedom is required to be given to the police by insulating it from possible attempts to control its independent functioning, and there is a good explanation for this. 73. The decision in Prakash Singh and the fashioning of the Act respect the necessity of the tenure appointment of the State Police Chief. Prakash Singh made sure that the removal of the State Police Chief is not a routine sort of affair. However, the Act diluted this to some extent but retained the broad contours of the law laid down by this Court in its decisions. 74. In Royappa this Court cautioned (in the passage quoted above) against the easy and mechanical displacement of the Chief Secretary of the State. In our opinion the caution is equally, if not more, applicable in the case of the Director General of Police or the State Police Chief. This Court observed that the displacement of the Chief Secretary must be for the most compelling reasons and should not be arbitrary, otherwise it “would tend to affect political neutrality” and lead to demoralization and frustration among public servants. 75. It is for this reason that as far as the police is concerned, commission after commission recommended insulating the police from the Executive and providing the force a degree of freedom, without political or executive interference so that it could impartially investigate crimes and take preventive measures in law and order or public order situations. It is this that persuaded this Court in Prakash Singh to direct the setting up of a State Security Commission so that the State Government does not exercise unwarranted influence or pressure on the State police. It is this that persuaded this Court to direct that three persons independent of the government should be members of the State Security Commission (provided they are appointed by the State Government!) and that the recommendations of the Commission shall be binding on the State Government. Furthermore, to provide security of tenure this Court directed that the Director General of Police should have a minimum tenure of at least two years irrespective of the date of superannuation. To maintain the independence of the police from government control in matters relating to investigations or crimes, preventive measures concerning law and order and public order, the Director General of Police may be relieved of responsibilities only in consultation with the State Security Commission and that too for limited reasons. 76. While the Kerala Legislature did not fully adopt the directions given by this Court while enacting the Act, the Legislature partially and only partially accepted the spirit of the directions issued by this Court in maintaining the requirement that the State Police Chief should have a minimum tenure of two years and the reasons for shifting the State Police Chief from his or her post were limited and provided for in Section 97 of the Act. The Kerala Legislature was, perhaps, quite right in adding clause (e) to Section 97(2) of the Act to the effect that if there is serious public dissatisfaction about the efficiency of the police, a police officer may be transferred even if he or she has not completed the normal tenure of two years. While this transfer could be affected by the government on being prima facie satisfied of public dissatisfaction, the assessment would necessarily have to be made in an objective and not a subjective manner otherwise the entre purpose of a secure tenure appointment would be nullified. This is where there is a difference in the role of the Chief Secretary as the chief executive of the State and the Director General of Police of a State “ their roles cannot be equated. While the Chief Secretary can be removed if he or she does not enjoy the confidence of the Chief Minister or does not have a “complete rapport and understanding” with the Chief Minister, the removal cannot be questioned, unless there is a violation of some statutory or constitutional provision. But that is not so with the State Police Chief. The reason is not far to seek “ the Cabinet colleagues of the Chief Minister or senior bureaucrats (including the Chief Secretary) might need to be investigated in an appropriate case. Can the Chief Minister then remove the State Police Chief on the ground that in such an event he or she does not enjoy the confidence of the Chief Minister or that there is no “complete rapport and understanding” between the State Police Chief and the Chief Minister? The answer is quite obvious. 77. Indeed for this reason, considered in the background of the security of tenure, each of the various clauses in Section 97(2) of the Act clearly and unmistakably point to action being permitted against a police officer only on the basis of verifiable material, such as disciplinary action, involvement in a corrupt practice or a criminal offence, physical or mental incapacity, assessment on the basis of evaluation of the work of an officer by a superior etc. and not on the subjective whims and fancies of those in a position of power. There is nothing to suggest that as compared to the other clauses in Section 97(2) of the Act “serious dissatisfaction in the general public about efficiency of police in his jurisdiction” must be given a different treatment or interpretation. The opinion of serious dissatisfaction must be based on verifiable material and not a perception that the Chief Minister or other senior functionary might have or the “public expectation” (as learned counsel for the State put it) that the Chief Minister might imagine. Quite often public opinion can be misleading or motivated. It is true that where an assessment of this nature is required to be made, there would be an element of subjectivity, but that subjective view must have some basis “ not a mere perception. 78. Section 97(2)(e) of the Act must, therefore, be read and understood in the context of the other clauses of that Section which relate to verifiable facts and events. Clause (e) is not a blanket clause that permits the State Government to take any decision on the basis of what it believes to be public dissatisfaction. Otherwise, the State Government can misuse it and justify an adverse action on the ground of prima facie satisfaction outside the ambit of judicial review. 79. In this context the following passages from M.A. Rasheed v. State of Kerala are quite telling on the issue of ‘satisfaction’ of an executive authority: “Where powers are conferred on public authorities to exercise the same when “they are satisfied” or when “it appears to them”, or when “in their opinion” a certain state of affairs exists; or when powers enable public authorities to take “such action as they think fit” in relation to a subject matter, the courts will not readily defer to the conclusiveness of an executive authority’s opinion as to the existence of a matter of law or fact upon which the validity of the exercise of the power is predicated. The onus of establishing unreasonableness, however, rests upon the person challenging the validity of the acts. 80. We are therefore clearly of opinion that the removal or displacement of any senior level officer from a tenure appointment must be for compelling reasons and must be justified by the concerned authority, if called upon to do so, on material that can be objectively tested. This is what the rule of law expects and this is what Section 97 of the Act expects – the law must be faithfully implemented in a purposive manner. Discussion on facts 81. We have referred to the various affidavits as well as the Notes of the Additional Chief Secretary for two reasons: Firstly, no guilt or lapse has been directly attributed to the appellant either for the Puttingal Temple tragedy or the Jisha murder case. On the contrary, as far as the Puttingal Temple tragedy is concerned, the Additional Chief Secretary recommended action against three specific police officers and placed the file before the Chief Minister. The appellant has been accused of failure to take action against these errant police officers (rather supporting them) and unjustifiably apportioning a part of the blame on the district administration. However, it must be noted that for more than one and a half months the Chief Minister took absolutely no action on the Note dated 13th April, 2016 but just seems to have kept it in his office. Under these circumstances, it is not clear what action could be taken by the appellant or any officer of the government including the Chief Secretary and the Additional Chief Secretary against the errant police officers while the matter was pending with the Chief Minister. Could they or should they have by-passed the Chief Minister? In any event, nothing has been shown to us to suggest that the Chief Minister was reminded that some action needed to be taken by him or that he should give some specific direction on the file placed before him. In our view therefore, if the appellant failed to take any action against the errant police officers, the entire official machinery starting from the Chief Minister down to the Chief Secretary and the Additional Chief Secretary are equally to blame. What is more important in this context is that the recommendation to take action against the errant police officers was made to the Chief Minister and not to the appellant. 82. As far as the Jisha murder case is concerned, the allegation against the appellant is of a general nature highlighting certain contradictions between his report, the First Information Report and the First Information Statement. We ought not to comment on these alleged contradictions. The generalization made leads to the conclusion that the leadership of the appellant was poor and that he lacked control and discipline over the police force which eroded public confidence, notwithstanding the responsibility of the large investigating team..
83. The second and more serious reason for the transfer (though it is not mentioned by the Chief Minister) is to be found in the first Note dated 26th May, 2016 of the Additional Chief Secretary (Home). Perhaps for this reason, it finds only a fleeting mention in the reply affidavit filed in the Central Administrative Tribunal and in this Court, but the detailed counter affidavit elaborates this reason. The allegation has been detailed above and it is not necessary to repeat it, except to say that according to the Home Secretary, the appellant attempted to interfere in the investigations relating to the Puttingal Temple tragedy. 84. The law has been well-settled for many years now that when an order is passed in exercise of a statutory power on certain grounds, its validity must be judged by the reasons mentioned in the order. Those reasons cannot be supplemented by other reasons through an affidavit or otherwise. Were this not so, an order otherwise bad in law at the very outset may get validated through additional grounds later brought out in the form of an affidavit. This view was affirmed by the Constitution Bench of this Court in Mohinder Singh Gill v. Chief Election Commissioner. 86. Apart from the fact that it is not permissible for the State Government to provide reasons in the detailed counter affidavit for the transfer of the appellant, additional reasons that are not mentioned by the Chief Minister, we find the reference to interference in the investigation in the Puttingal Temple tragedy as somewhat incongruous. There is nothing to suggest what advantage could be gained by the appellant in scuttling the investigations in the Puttingal Temple tragedy, particularly since in an earlier part of the detailed counter affidavit it is admitted that the State Police Chief is not personally responsible for supervising the conduct of events or adherence to safety measures in relation to large public gatherings. Therefore, why would the appellant want to interfere in the investigations? 87. The facts and the record of the present case indicate that the Puttingal Temple tragedy and the Jisha murder were not the flash points necessitating the transfer of the appellant. The reason for his transfer was his conduct post the Puttingal Temple tragedy in not taking action against the errant police officers (but supporting them) and in apportioning a part of the blame on the district administration. The reference to the Jisha murder case was an attempt at padding up the reason while the reference to the alleged interference in the investigations by the CB-CID was a red herring or a ruse – the alleged interference was not even in the contemplation of the Chief Minster. The addition of the allegation of interference with the investigations in the Puttingal Temple tragedy is a further attempt in that direction “ to somehow or the other nail the appellant. 88. As already indicated above, as far as taking action against the errant police officers for the Puttingal Temple tragedy is concerned, the Chief Minister of the State also took no action for more than a month after the Note dated 13th April, 2016 was put up by the Additional Chief Secretary (Home). The Chief Minister did not take any action in spite of the Note pinpointing the three errant police officers against whom action was required to be taken. It is difficult to hazard a guess why no action was taken. But in any event, the fact of the matter is that a suo motu writ petition concerning the incident and its aftermath was pending in the Kerala High Court, a judicial commission chaired a former Judge of the Kerala High Court was appointed by the State Government and investigations had been referred to the CB-CID in this regard. Surely Senkumar cannot alone be pre-judged and blamed for this state of affairs. 89. As far as apportioning a part of the blame on the district administration is concerned, it cannot be anybody’s case and indeed no such submission was made before us that the district administration had absolutely no role to play in the Puttingal Temple tragedy. While it is true that a major part of the blame must rest on the police force at the ground level, the district administration perhaps cannot be completely absolved of its responsibility in the enormous tragedy that took place, but this is ultimately an issue that may have to be decided by the Kerala High Court or by the judicial commission or by the CB-CID. In any event, this can hardly be any justification for coming to the conclusion that the appellant alone deserved to be acted against only because he supported his subordinates, while seeking to apportion a part of the blame on the district administration. 90. Similarly, as far as the Jisha murder case is concerned some of the conclusions arrived at on the file placed before us are a little unfortunate and appear to be prejudging the investigation. What impact this might have on the trial is again anybody’s guess but surely the State Police Chief cannot alone be blamed for any lapse in investigation or any delay in apprehending the accused. This is more so considering the fact that a Special Investigating Team had been appointed consisting of 28 officers to investigate the Jisha murder case. The appellant was not the investigating officer in the matter. 91. Perhaps, what might be a very serious infraction by the appellant is the allegation that he tried to interfere with the investigations in the Puttingal Temple tragedy. We have, therefore, very carefully considered this allegation. Unfortunately, the file placed before us does not indicate the circumstances in which the Assistant Commissioner of Police, Chathanur was transferred out by the Election Commission but we are entitled to assume that the decision of the Election Commission in this regard was completely bona fide. However, to attribute oblique motives to the appellant for recommending the posting of a member of the Special Investigating Team as Assistant Commissioner of Police, Chathanur so that he is under the jurisdiction of the Commissioner of Police, Kollam City is a little far-fetched. The appellant had nothing to fear in the investigations by the CB-CID since he was not involved in the ground level arrangement in the Puttingal Temple. It cannot be said that the recommended officer was indispensable to the Special Investigating Team even if the Additional Director General of Police (Crimes) may have objected to his transfer. It appears to us that too much is being read into this and a hypothesis that was not even accepted by the Chief Minister or the State Government is being advanced as a definite conclusion. It is being assumed that even though the appellant was completely absolved of any lapse in respect of the Puttingal Temple tragedy, he wanted to interfere with the investigation for no apparent reason except perhaps to benefit the Commissioner of Police, Kollam City for no apparent reason. There is no evidence or material to arrive at any such conclusive opinion. 92. Learned counsel for the State Government is right in submitting that it is only a prima facie satisfaction that is to be arrived at by the State Government that the general public is dissatisfied with the efficiency of the police so as to enable a shifting out of the State Police Chief. However, that prima facie satisfaction must be based on some cogent and rational material. Nothing has been placed before us in this regard except the view that there was dissatisfaction among the general public on the efficiency of the police. Mere repetition of the provisions of Section 97(2)(e) of the Act is not sufficient – there must be some material on record (other than a newspaper report) but unfortunately nothing has been pointed out to us during the course of submissions. It is not enough to merely contend that the State Government was subjectively satisfied that the appellant ought to be transferred out as the State Police Chief. 93. The subjective satisfaction of the State Government must be based on some credible material, which this Court might not analyze but which can certainly be looked into. Having looked into the record placed before us we find that there is no material adverse to the interests of the appellant except an expression of opinion and views formed, as far as he is concerned, as late as on 26th May, 2016. This make-believe prima facie satisfaction by itself cannot take out judicial review of administrative action in the garb of subjective satisfaction of the State Government. 94. We are a little disturbed by the resurrection of the Puttingal Temple tragedy and the Jisha murder case on 26th May, 2016 as soon as the present government in Kerala assumed office. The so-called public dissatisfaction with regard to the role of the police in the Puttingal Temple tragedy lay dormant for more than one month and similarly, the role of the police in the investigations in the Jisha murder case also remained dormant for almost a month. Suddenly, these issues resurfaced as soon as the present government assumed office. This might perhaps be a coincidence but it might also be politically motivated, as suggested by learned counsel for the appellant. It is not necessary for us to delve into this controversy nor is it necessary for us to consider the submission of learned counsel for the State Government that there was no politics involved in the transfer of the appellant since the first Note was put up before the Chief Minister by the Additional Chief Secretary (Home) as far back as on 13th April, 2016. While this is so, it must not be forgotten that the Note dated 13th April, 2016 did not cast any aspersion on the appellant. In any event, if we are asked to choose between leaning in favour of the State or the citizen, we would certainly lean in favour of the citizen and give him or her benefit of the doubt. 95. We are also a little disturbed with the view expressed in the detailed counter affidavit and elsewhere that the appointment of the appellant was irregular if not illegal. If that is so and the State Government of Kerala is bent upon making irregular or illegal appointments to sensitive posts, then no one can help God’s own country. Conclusion 96. On an overall consideration of the material on record and considering the case in its proper perspective, that is the events post the Puttingal Temple tragedy and the Jisha murder and not the two tragedies themselves, we have no hesitation in concluding that the appellant has been unfairly and arbitrarily dealt with. Under the circumstances, we are compelled to set aside the judgment and order of the Central Administrative Tribunal, the impugned judgment and order of the High Court as well as the order dated 1st June, 2016 and direct the State of Kerala to reinstate the appellant Dr. T.P. Senkumar as the State Police Chief. 97. The appeal is allowed. Tags: as the order dated 1st June 2016 and direct the State of Kerala to reinstate the appellant Dr. T.P. Senkumar as the State Police Chief.97. The appeal is allowed. J Madan B. LokurCIVIL APPEAL NO. 5227 OF 2017Dr. T.P. Senkumar IPSUnion of India and Ors.